Jack and Annie are on a mission to save Merlin from his sorrows! 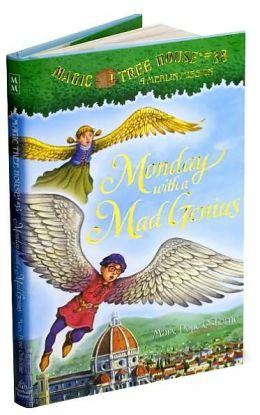 Charged with finding the second of four secrets of happiness, the brother-and-sister team travel back in the magic tree house to the period known as the Renaissance. This time, Jack and Annie will need more than a research book and a magic wand. They’ll need help from one of the greatest minds of all time. What will they learn from Leonardo da Vinci?